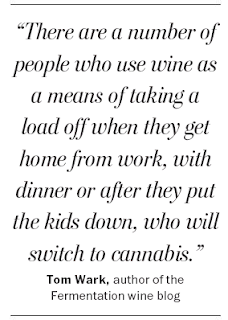 The battle between wine and cannabis has begun. 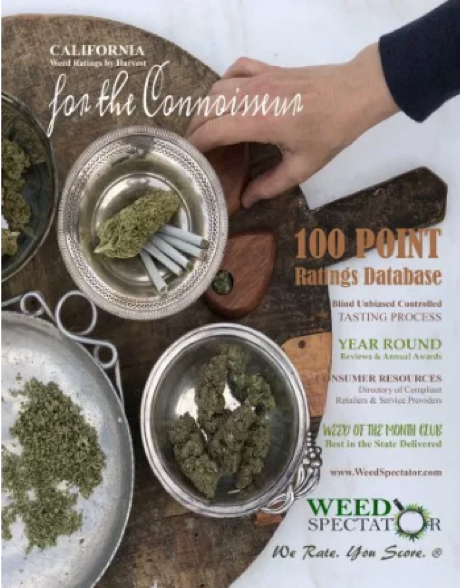 As laws allowing cannabis use are spreading in the United States, The Wine Spectator has joined battle with The Weeds Spectator. 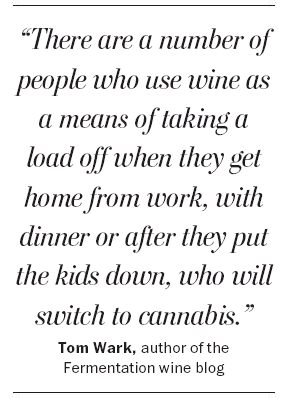 The lawsuit, aside from copyright issues, reflects the wine industry’s unease about the legalization of marijuana. 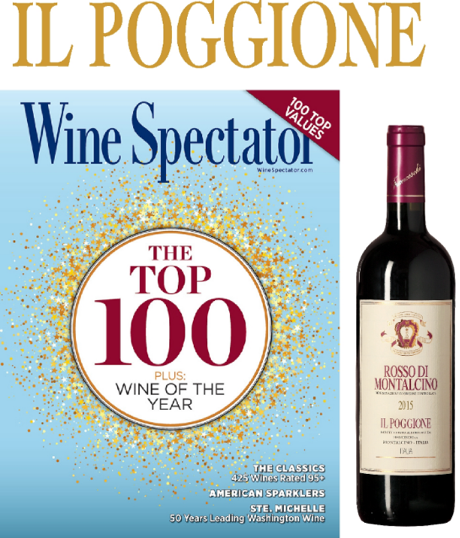 The industry, with Wine Spectator among the media vanguard, has spent decades promoting wine as part of the healthy, luxurious good life, fighting the stigma of alcohol as a drug. It succeeded for a while, but recent health studies have increasingly questioned the idea that even moderate alcohol consumption (including wine) might be good for you beyond its spiritual qualities. Now come the potheads, assessing the various virtues of different strains of marijuana — With point scores, even! And medicinal benefits! 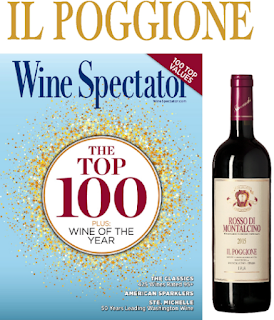 — much the way wine geeks suss out the nuances among appellations of Burgundy. It’s a very inconvenient parallel.